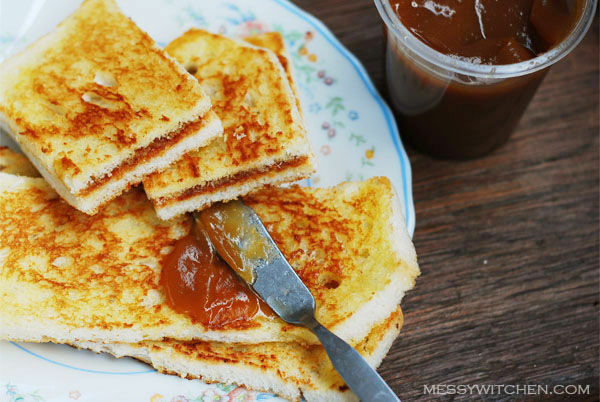 Toasted hailam bread with kaya (coconut and egg jam)… ahh that’s my kind of breakfast. No matter where you are in this world this bread and kaya combination will always remind us of home be it Malaysia or Singapore. Agree? 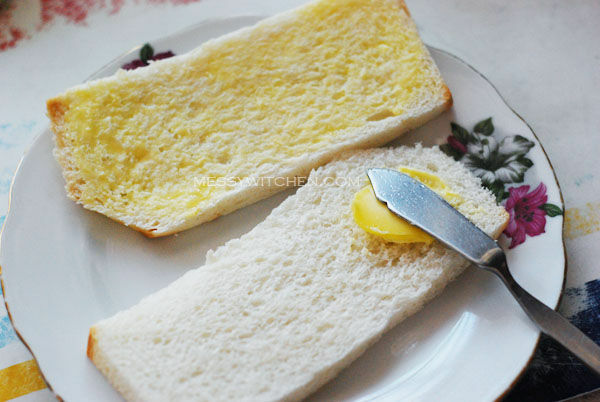 Hailam bread is plain white bread minus the crust. It is longer in shape and lighter. This is the best kind of bread we use for toasting due to its crispiness. Why it’s called hailam bread? I have no idea. If you know why kindly share with us. I would love to know more about the origin of this bread. I buy hailam bread from the Indian bread vendor (roti man; roti = bread in Malay) that visit my neighborhood daily with his trusty motorbike. I’m lucky to still be able to enjoy this near-extinct ‘service’. Once awhile I would buy some junk food from the roti man for the sake of re-living my childhood memories. As for kaya, I have never make them before as they are easily available at sundry shops and supermarket. 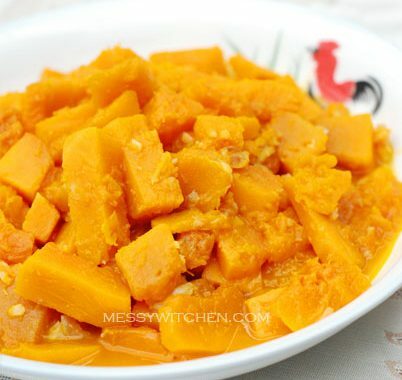 Come now, let me show you how I like to prepare my toasted bread with kaya. Each individual has his/her own style and this is my style. Spread generous amount of butter on both side of hailam bread. Yup, must be both side for extreme umph-ness. 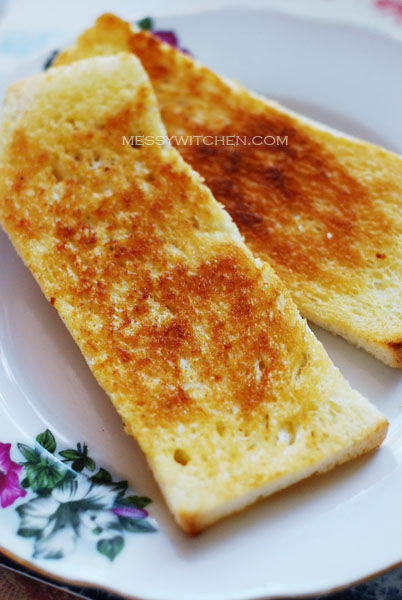 Then, toast bread at both side in a pan until golden brown. Toasted hailam bread. Ahh goodness. Note the crispy and hollow holes on the bread? Slather a good amount of kaya… covering the holes. Serve at once. 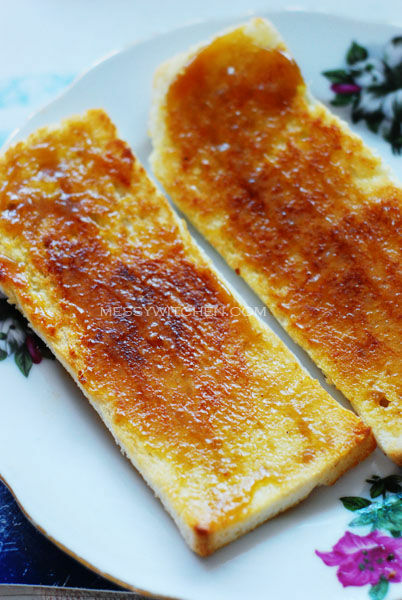 Toasted hailam bread with kaya. 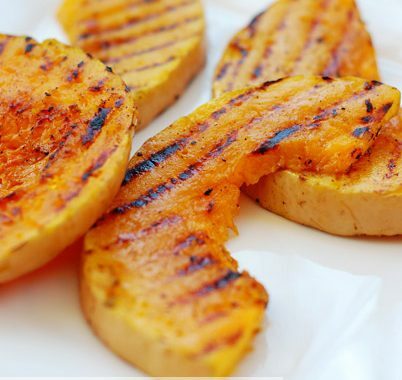 Crispy, savory and sweet! When you first bite into it, you get the kaya taste. Then you’ll be hit by the nice smell of butter and crunch. Absolute YUM! A note of caution though. Once you have tasted it you’ll want more. Best eaten hot. The bread goes soggy faster than regular bread. So grab it quick ya (not that it’ll last long on the table). 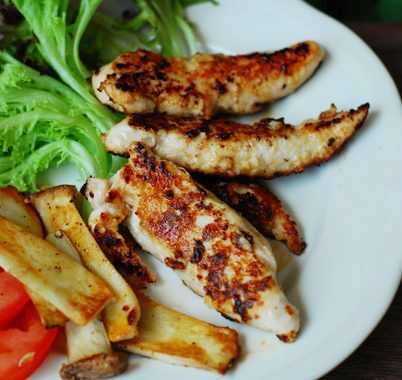 You can make it into sandwich style with kaya and slabs of butter in between. That’s what you get mostly at ‘kopitiams’ (coffee shops). They are good but not my favorite because I dislike dealing with melted butter and messy hands. 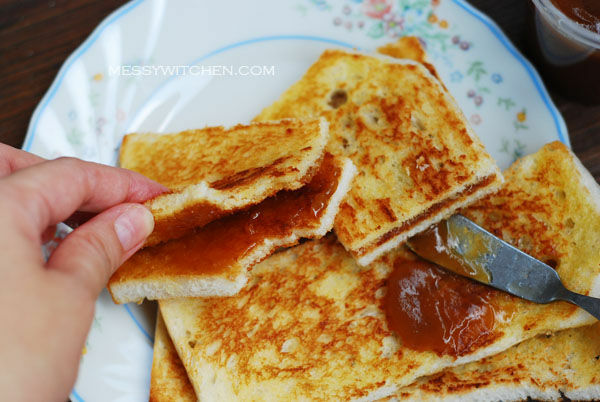 For me I like spreading the kaya on the toasted bread and eat it just like that for that’s how I get to taste the individual flavours at their best. 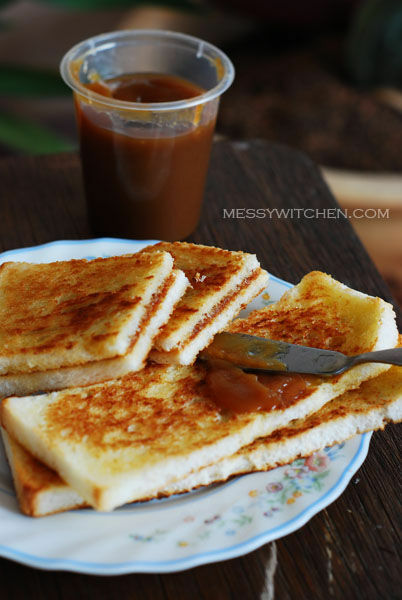 What’s your favorite kind of way to eat toasted bread with kaya? Hi, thanks for dropping by. I guess it’s everyone’s fav! Oh Amy you know best how to enjoy life with food!!! This is never my breakfast, but as my dessert. Oh yes with curry. Ahh lau hau sui!